Top Rated GRE Prep Tutors in San Francisco, CA! Welcome to San Francisco’s top-rated private GRE prep in-home tutoring service! All of the following San Francisco GRE prep tutors are certified by Varsity Tutors, the leading tutoring agency in the country! 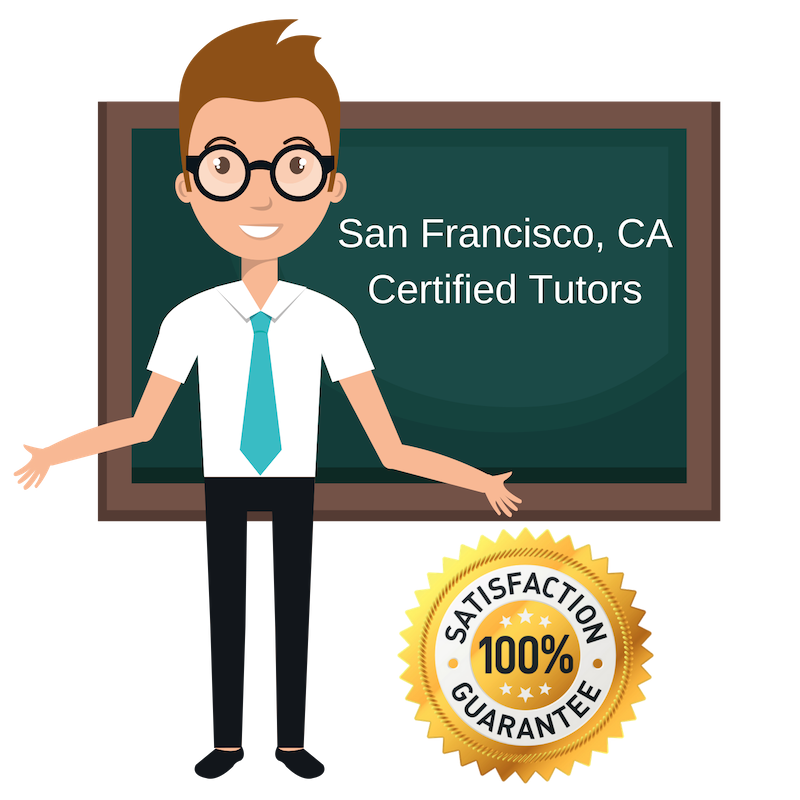 All San Francisco GRE prep tutors have been background checked, been interviewed, had mock GRE prep tutoring sessions, and been trained by professionals. We guarantee you will love your local San Francisco GRE prep tutor or your money back! Get information regarding a top-rated GRE prep tutor today! Having previously worked as a teacher with a variety of student populations, I am an experienced educator and communicator currently available for personal tutoring in San Francisco, CA. I have taught at the undergraduate level in psychology as well as with younger individuals having learning disabilities. I have additional experience teaching adults valuable personal and professional skills including time management and study strategies. I always try to teach to the strengths of my students instead of dwelling on their weaknesses and limitations, and find that this is beneficial in all subject areas. My goal is for the students I work with to gain a better understanding of the subjects of focus and to simultaneously show them how to study difficult topics in the way that best suits them. I am now available for help in GRE test prep, statistics and other topics. I am a bright-spirited private tutor hoping to help students in San Francisco, CA prepare for the GRE. I genuinely enjoy help others learn new material or just generally improve their study strategies, and find great personal meaning in being actively involved in other people’s journeys in the direction of their goals. I work well with all types of students, especially those who might become stressed easily, as I am very good at diffusing stressful situations, building confidence, and creating a relaxing study environment. I recently graduated from MIT with a bachelor’s degree in materials science and engineering, so I am able to easily relate to the stresses and joys of being a student. Baking, running, shopping, volunteering, exploring new cities/traveling, listening to TED Radio Hour! With a master’s degree in public health administration and a bachelor’s degree in social work, I have a diverse educational background that uniquely equips me to assist students in a variety of subjects. My studies have required me to develop a very varied set of critical thinking skills and study strategies which I hope to share with my students as a graduate test prep tutor. I am currently specializing in test preparation for the GRE for students located in San Francisco, CA. I strongly value my work as a personal tutor and enjoy watching the students I work with reach academic and professional goals. I am a personal tutor working in San Francisco, CA with a passion for math and science. Right now, I am happy to help students with standardized test prep focused on the GRE. I am currently pursuing a PhD in materials science and engineering at the Massachusetts Institute of Technology (MIT), the nation’s leading institute for science and engineering, so I am recently familiar with the process of applying for graduate school and readying oneself for graduate-level examinations. While my studies are focused on the physical sciences, I am comfortable working through a wide range of topics. The intense work culture at MIT has equipped me with excellent time management and organizational skills and very strong study strategies which I look forward to sharing with my students. I am working as a personal tutor for graduate level standardized test prep here in San Francisco, CA. I specialize in helping students with the GRE, and work hard to equip them with a skill set of study strategies applicable to any subject. My own study experience completing coursework across several disciplines has taught me to view difficult problems with many different perspectives before drawing conclusions, which is a skill that I believe directly translates into standard testing. In my own studies, I completed a master’s degree in public administration and a bachelor’s degree in mechanical engineering. Throughout my studies, I completed extensive coursework in the areas of math, physics, and policy, as well as international relations, finance, and economics.